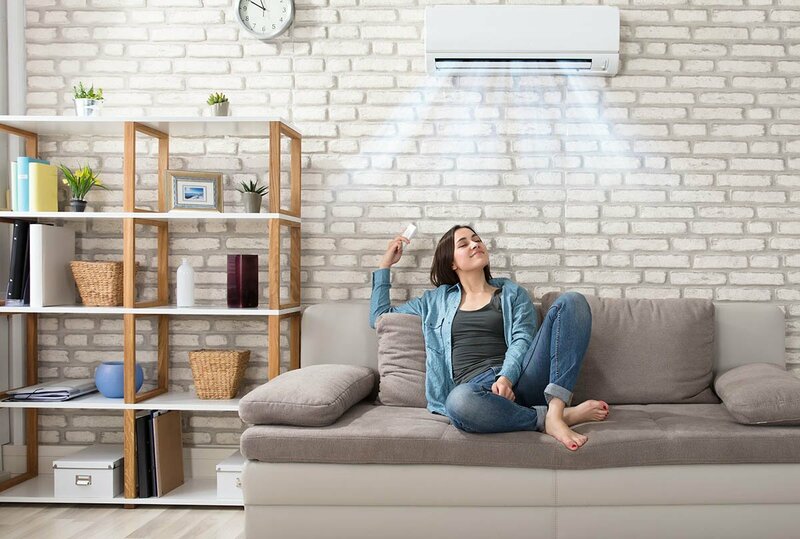 Air conditioner is a great invention that makes summer’s hot days bearable. It can be miserable when, on a hot day, the AC stops working. As your AC stops working, it gives signs that it needs to be maintained or is on the verge of breaking down. Here are a few signs that your air conditioning unit may not be working to its fullest and needs to be checked. If air from the vents feels stifled or blocked entirely, this is a clear sign that your filters need checking. If the filters are clogged or blocked, the system has to work hard to pump air through them, putting strain on the HVAC system. Such a strain can eventually lead to the unit being in need of replacing. Replace the air filter to improve the airflow in the system. Ice buildup on your air conditioner is a sign that air isn’t flowing easily through the vents. If you find some ice on your AC unit, especially around the copper tubing, know that it can be a sign that the system is deteriorating, and that its days of being useful are numbered. A dirty filter reduces the air flow over the evaporator coil and makes it icy. This can be easily fixed by replacing the dirty filter. If your system is low in coolant, then it can be easily fixed by filling up the coolant. Air conditioners make noise as part of running normally. If your AC makes more noise than usual, especially while starting up, then it is a sign that there may problems with your unit. Such an issue is best left to a professional. Call your HVAC technician. This is usually what makes someone frantic on a hot day. If the system runs all day long and has made no significant change to the temperature, you have a problem. Also, if air that’s not cool enough is being emitted by your AC, then the unit may be overworked. Easing up on its usage or upgrading to a more powerful system are viable solutions if the AC is new. Take a temperature reading at the closest register. You want to get 55 degrees. Anything above 65 degrees means you are low on coolant. This may seem obvious, but check to see if the unit is plugged in. You may try unplugging and replugging it. The air conditioner may not turn on because of a blown fuse. Replace the fuse to see if it will turn on. Another reason for the AC to not turn on could be that the thermostat hasn’t tripped the AC to start. Lower the thermostat 10 degrees to make sure that it will turn on. If the AC doesn’t start running within 3 minutes or so, then it is time to call your air conditioning technician. If none of the above troubleshooting steps made your AC work to your satisfaction, call Sal at RC Mechanical at (650) 575-3915.